Super Granny is back and ready for action in Super Granny 5, her latest action-packed adventure! When Dr. Meow zaps Super Granny with a powerful shrink-ray, she must journey into the dangerous wilderness of her backyard, battle all-new gran-eating enemies and rescue her precious kitties from unlikely peril! Create your own levels and share them with friends in this fun and fast-paced Action/Arcade game. 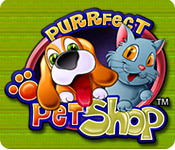 Purrfect Pet Shop puts you in charge of an animal adoption center, caring for strays as they arrive, matching them with the perfect owner. Nurse your own customizable dog or cat back to health, choosing from thousands of possible combinations. Earn the animal`s trust by playing with toys, careful grooming, and the occasional tasty treat. Use donations from satisfied customers to purchase upgrades and special items to get your friend ready for adoption by the end of the game. You'll find some of the desspest gameplay around the world in this sim game. You get to rescue, care for and release exotic animals from down under! Pufu the penguin is tired of all the snow that surrounds his home, and longs for something different. Help him explore new climates, and the world, in this Match 3 adventure. 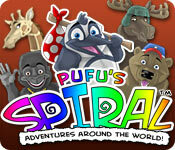 Use powerful abilities to help you on your journey and help Pufu make some colorful new friends, and learn some valuable lessons about life. Pattie&#2013266066;s boss is out of town, leaving her in charge of the Dress-Up Pups fashion agency. Help her prove herself by dressing up the different dogs in hilarious outfits! Featuring hilarious dialogue and graphics, power-ups, and several variations on classic Match 3 gameplay, Dress-Up Pups is a guaranteed recipe for hours of laughs! Form chains of matching symbols to clear them from the grid and put the outfits together for your clients.